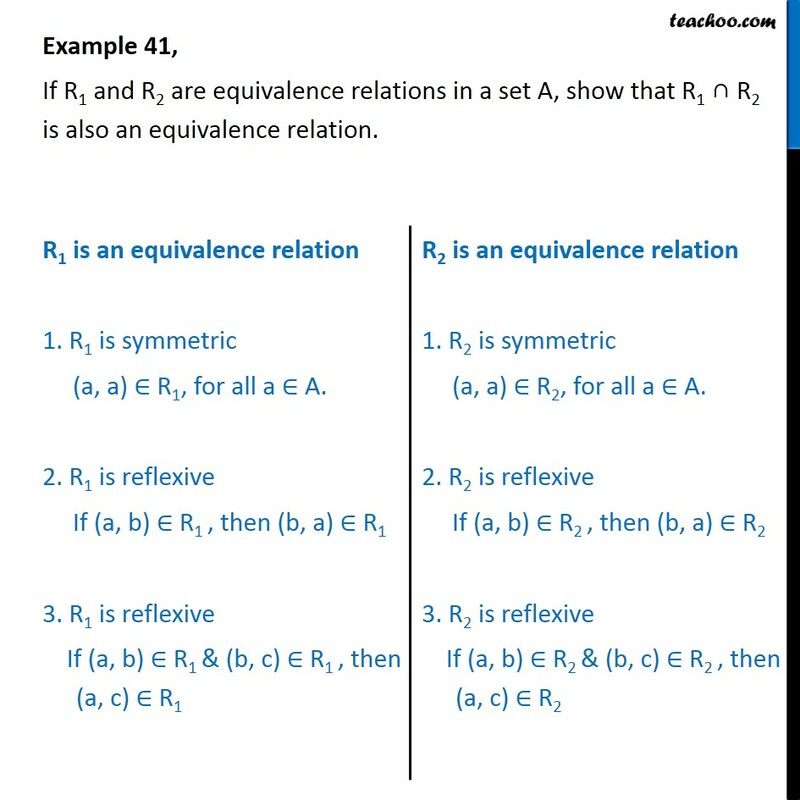 Example 41, If R1 and R2 are equivalence relations in a set A, show that R1 R2 is also an equivalence relation. 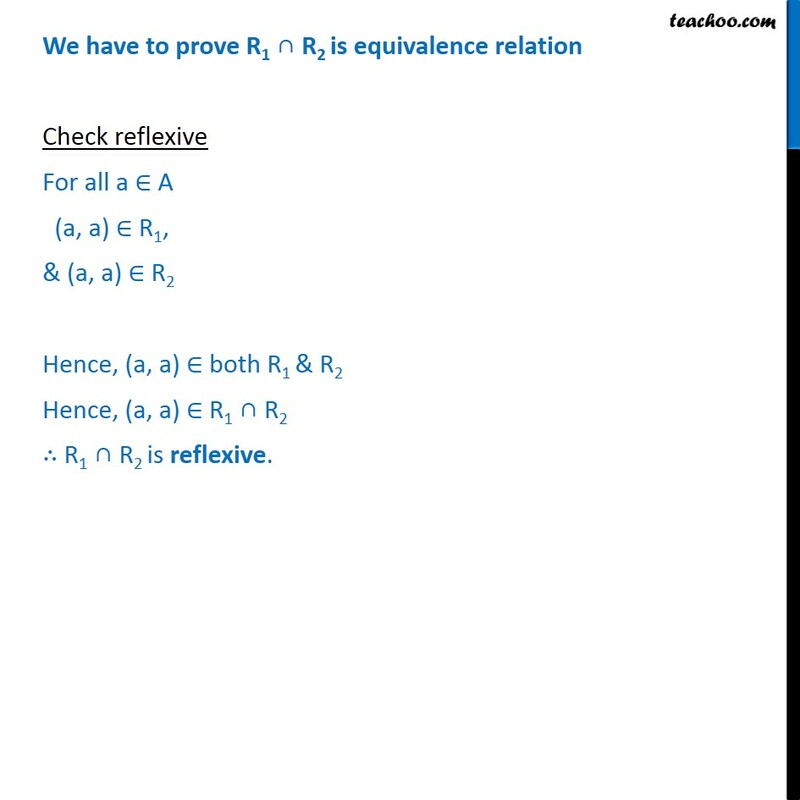 We have to prove R1 R2 is equivalence relation Check reflexive For all a A (a, a) R1, & (a, a) R2 Hence, (a, a) both R1 & R2 Hence, (a, a) R1 R2 R1 R2 is reflexive. 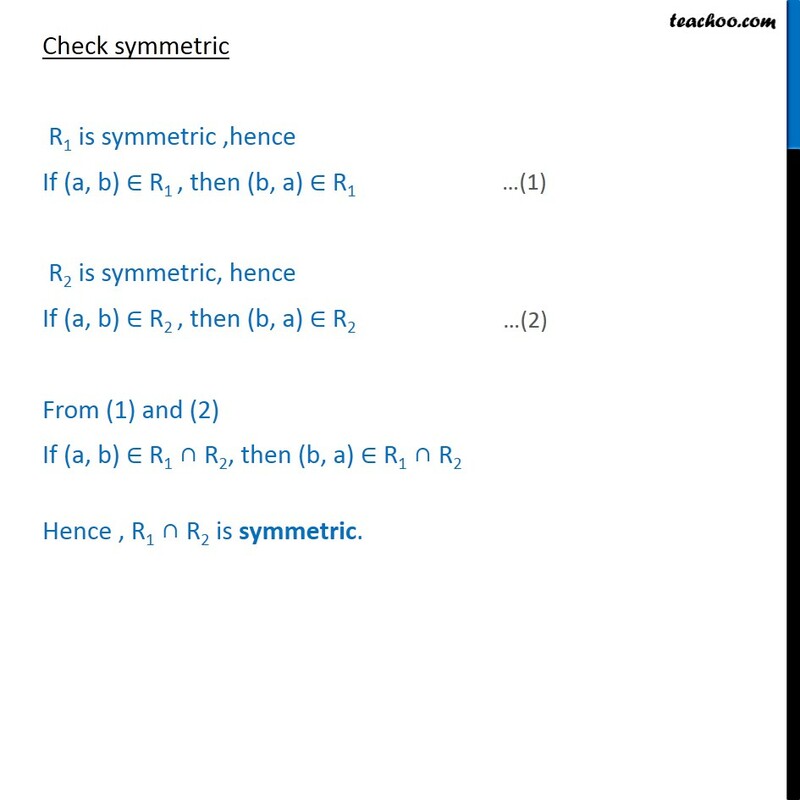 Check symmetric R1 is symmetric ,hence If (a, b) R1 , then (b, a) R1 R2 is symmetric, hence If (a, b) R2 , then (b, a) R2 From (1) and (2) If (a, b) R1 R2, then (b, a) R1 R2 Hence , R1 R2 is symmetric. 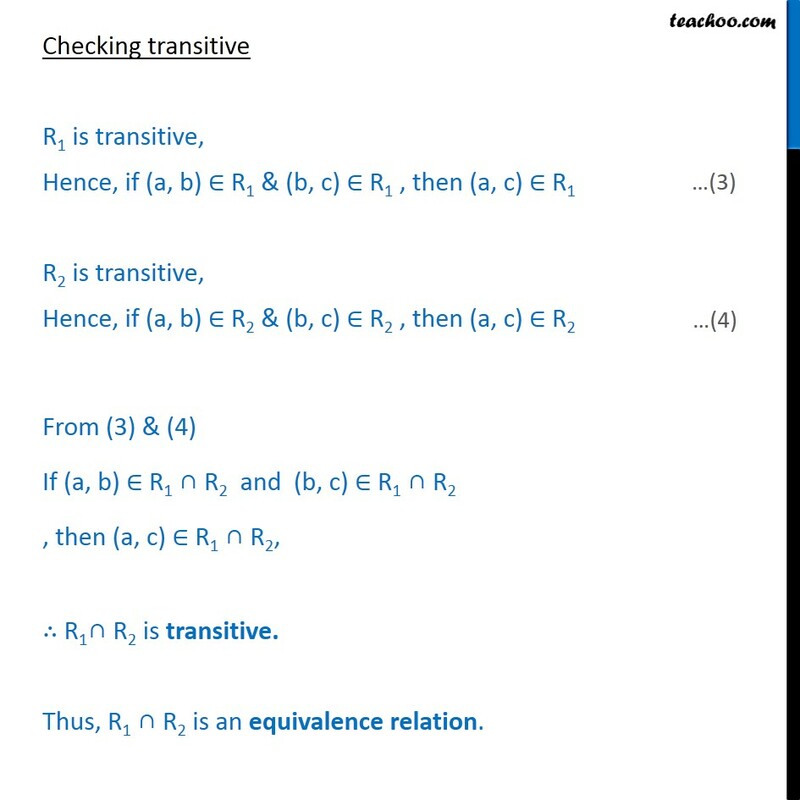 Checking transitive R1 is transitive, Hence, if (a, b) R1 & (b, c) R1 , then (a, c) R1 R2 is transitive, Hence, if (a, b) R2 & (b, c) R2 , then (a, c) R2 From (3) & (4) If (a, b) R1 R2 and (b, c) R1 R2 , then (a, c) R1 R2, R1 R2 is transitive. Thus, R1 R2 is an equivalence relation.